South of Yuma are a variety of agricultural areas ranging from citrus orchards to alfalfa fields. 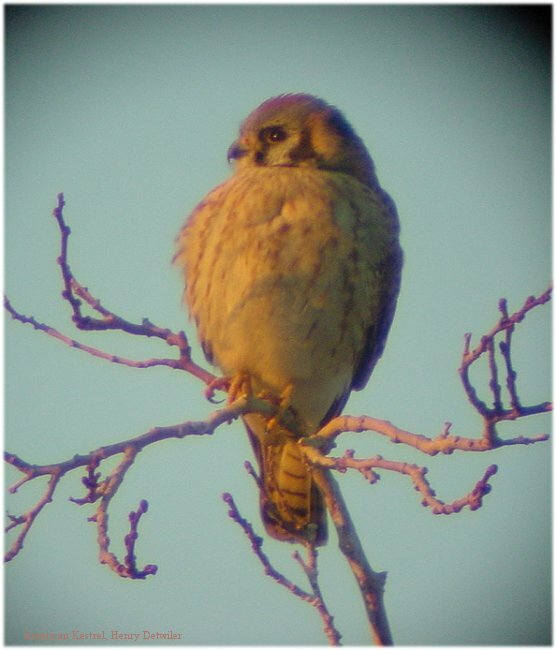 Especially good in the winter months, the area plays host to Prairie Falcon, Ferruginous Hawk, Mountain Plover, Abert's & Green-tailed Towhees, other sparrows, and Lesser & Lawrence's Goldfinches. The desert south of these fields is pretty sparse, but has yielded LeConte's Thrasher. This area is known as the "Yuma Mesa". If you drive southwest of Yuma, you'll drop down into the Colorado River floodplain. Birds here are similar, with the addition of Ring-necked Pheasant in the wheat fields and a number of riparian birds along the river. Check out some of these additional spots at: Southwest of Yuma. - Drive west on 16th Street (Highway 95) 2 miles miles to Ave B. - Turn left on Ave B and drive south for about 3 miles until you're south of the city and start getting into the citrus and agricultural fields. 1) These fields are planted with a variety of crops as the seasons progress. In the past, we have found Prairie Falcon, Ferruginous Hawk, Mountain Plover, curlews, whimbrel, meadowlarks, and a variety of sparrows. Just north of these fields on Ave A 1/2 is a bit of remaining creosote desert--here you're more likely to find Loggerhead Shrike, Verdin, and Brewer's Sparrow. 2) Pat Callahan has turned her home into a plant and bird sanctuary. If you see Pat, she'll welcome you to walk through her yard; if she's not to be found, you can see much of the area from the side of Ave A. In migration & winter look for Cooper's Hawk, Gambel's Quail, Gila & Ladder-backed Woodpeckers, Anna's & Costa's Hummingbirds, Verdin, Abert's Towhee, and Lark & Lincoln's Sparrows. Sometimes you'll spot unusual birds like Golden-crowned Sparrow and Lawrences' Goldfinch. 3) Citrus Orchards, such as the ones here, and especially those with weedy undergrowth, can be good for a number of birds. 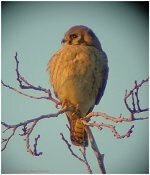 Accipiters, hawks, woodpeckers, finches, and sparrows are just some of the expected avian delights. 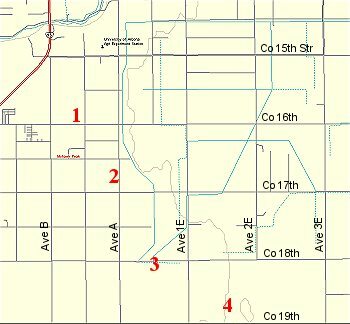 4) Between Ave 1E and Ave B, along County 19th Street are many large circular alfalfa fields. In winter these play host to Prairie Falcon, Ferruginous Hawk, Mountain Plover, Long-billed Curlews, Mountain Bluebird, and Savannah Sparrow. 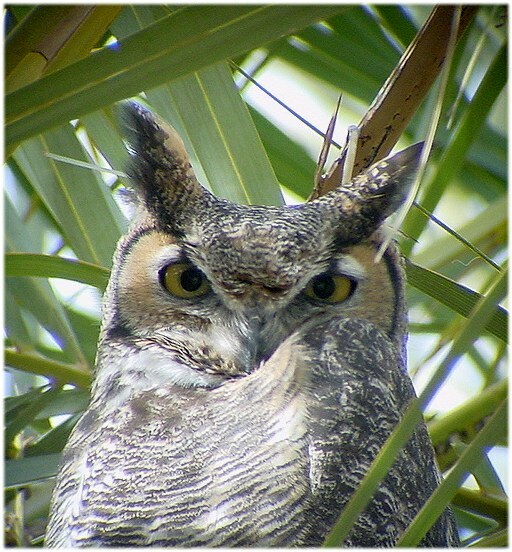 The surrounding desert has breeding Burrowing Owls, Black-throated Sparrow, and wintering Brewer's Sparrows. South of Co 19th Street you'll see the original desert with scattered creosote, mesquite, and cacti. 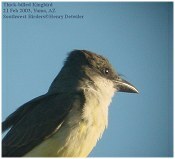 Birds tend to be more concentrated in washes, but they are generally sparse everywhere. 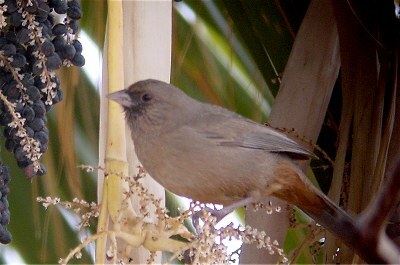 Birds possible here are Loggerhead Shrike, Verdin, LeConte's Thrasher, Phainopepla, and Brewer's Sparrow. Abert's Towhees are common permanent residents here! Thick-billed Kingbird is a rare visitor to Yuma - check along the canals!